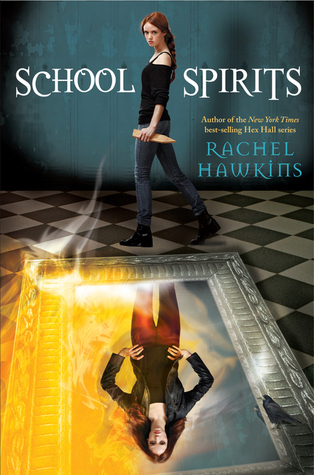 I'm a huge fan of Rachel Hawkins' Hex Hall series and I can't wait to dig into this spinoff series following Izzy! I love that they are sticking with the theme of the Hex Hall covers with this series. I've got a copy of this but I'm scared to start it. I think I'll miss Sophie and Cal and Archer too much. :( But I do love the humor in these books. Thanks for sharing! Yes yes yes!! I love Hex Hall and I so can't wait for School Spirits! Amazing pick! I can't wait to read this one when it comes out. I loved the Hex Hall books and I'm really excited about this one. Great pick and I hope you enjoy reading it.